First up is a look at Overwatch, the two player asymettrical co-op mission puts one player in the role of a sniper and the other in the shoes of a saboteur. Set on Railyard, the map is huge and expansive with lots of objectives to complete and many ways to accomplish it. The last two videos are from the game's four player co-op survival mode (though only three of us took part). Set across two vastly different maps players are tasked with surviving a set number of waves of enemies while defending a radio listening station that moves every couple of waves. Both modes of play allow players to earn experience and unlocks towards their character and can be used in any mode in the game. All videos are from the PC version of the game. 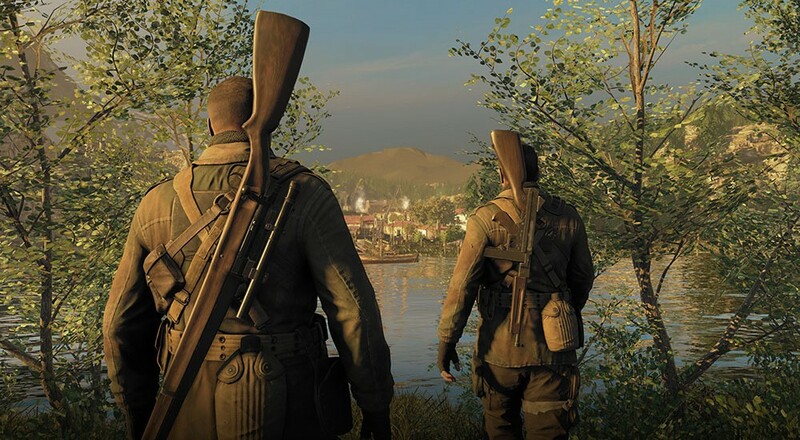 We'll have a full review of Sniper Elite 4 and its co-op options (which includes a co-op campaign too!) shortly.